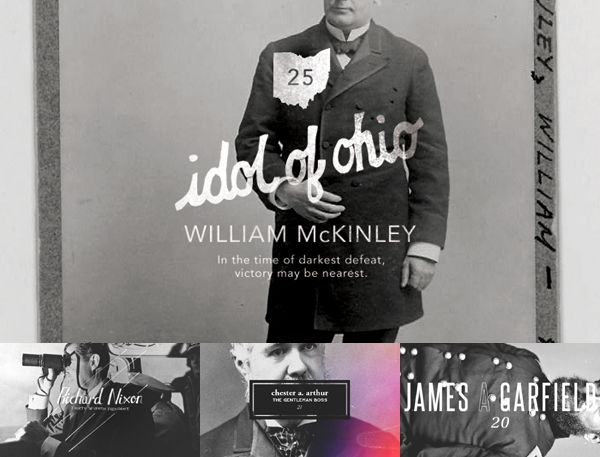 Branding the Presidents, a small project by Meg Jannott, is so interesting and creative. See more of it here. I sent these to my history buff friend a while ago, and she freaked! Love! This is amazing. Love it!! Thanks for sharing. Wow! This is a really awesome and creative way to remember the presidents! Ooh I adore this project! Too cool!